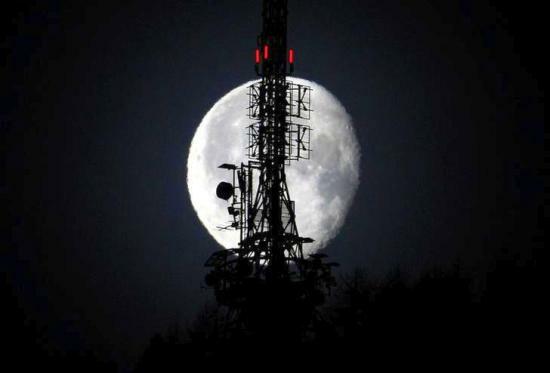 On Monday, the Telecom Commission cleared a proposal allowing operators with broadband wireless access (BWA) spectrum to offer voice services by paying Rs 1,658 crore (Rs 16.58 billion) and migrate to the universal licence regime. There is no doubt the chief beneficiary of the move would be Mukesh Ambani's Reliance Jio Infocomm which already has a pan-India BWA licence. The telecom company had forked out Rs 12,874 crore (Rs 128.74 billion) to acquire the licences in 2010, but its possibilities were limited as it was only permitted to offer data services. The Telecom Commission's decision, therefore, offers a great opportunity for the company to go all-out in the market. Its voice services are expected to be launched by June this year. Reliance's entry could disrupt the stability that is slowly coming back into the sector. After years of cutthroat competition and falling tariffs, incumbent operators, after the Supreme Court cancelled the licences of many new players, had recently raised tariffs to improve their realisation per minute. They were understandably pleased with the way things were turning out for them. Many telcos were even talking of another 20 per cent increase in tariff in the next six to twelve months. 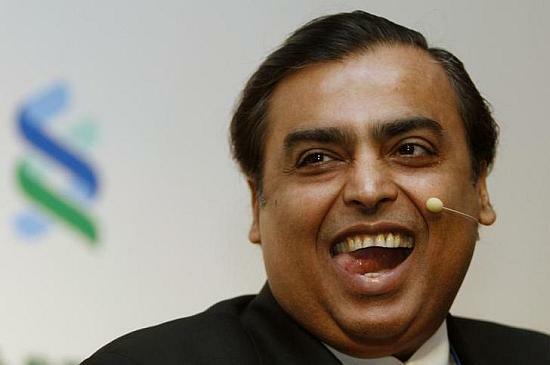 Image: Reliance Industries chairman and MD Mukesh Ambani. But their party could come to a premature end if Ambani decides to replicate the aggression that he had shown a decade ago. He had then launched "Monsoon Hungama", which bundled a mobile phone with free data and voice minutes at just Rs 501, impelling millions of customers to join him. But the generous offer did not come without its share of problems. It led to a huge financial strain on the company and it had to write off a lot of investments. He subsequently yielded the telecom business to his younger brother, Anil, as part of a family settlement. Could Ambani repeat the same strategy once again? 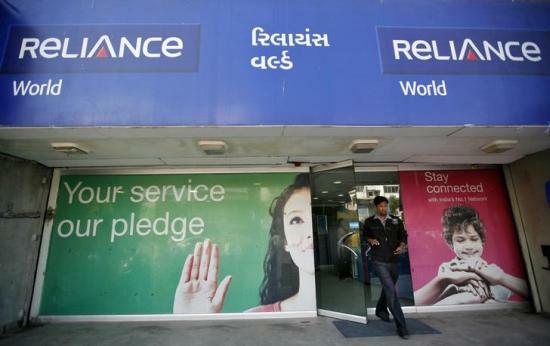 Operators concede that Reliance's entry into the voice space, which makes up for 85 per cent of telecom revenues, would bring them in head on collision with Ambani. The equation was different when he was in data services - revenue potential, though big, still left a lot unexplored. Experts say without voice revenues, Mukesh would have had to either join hands with another telco or buy out a telco operating in the 2G and 3G space so that he could offer both data as well as voice services. Now he does not need to do any of this. Image: When Mukesh Ambani was heading Reliance Communication, he offered a mobile phone with free data and voice minutes for just Rs 501. The strongest opposition to the Telecom Commission's decision has come from the Association of Unified Telecom Service providers of India (AUSPI), an association of dual technology providers (who offer GSM as well as CDMA services) whose key member include Anil's company Reliance Communication and the Tatas. Says Ashok Sud, secretary general of AUSPI: "We are disturbed by the Telecom Commission's decision. This is unfair to us as it amounts to an administrative pricing of spectrum, which goes against the government's position" that spectrum should be auctioned. The GSM operators are a divided house. Cellular Operators Association of India Director General Rajan Matthews says the association will not come in the way of the Telecom Commission's decision as some semblance of a level playing field has been given. Some of its key members like Bharti Airtel as well as Aircel, which have a large play in the BWA space, would also benefit as the new rule will give them an additional band in 2,300 Mhz for voice. Image: A man touches a screen on a Bharti Airtel ad billboard during the launch ceremony for 4G services in Kolkata. But not everyone agrees. A top Vodafone executive on condition of anonymity says that the decision is illegal, as the company would have bid for the BWA auction had it known that it could be used for voice too. "We have been deprived of an opportunity and that is unfair," he says. Some BWA players too think the decision has been unfair to them. A senior executive of a BWA company says: "It is not a level playing field. We have already paid auction price for BWA, but now they have asked us to pay the same that 2G operators had forked out for voice to add voice services. Yet, 2G operators got spectrum bundled with the licence, while we are not getting any more spectrum." While Reliance maintains a stoic silence, those in the know say Ambani and his team have been working from the very beginning to offer voice on the 2,300 MHZ band. That is the reason why last year it asked for permission from the government to test an in-house voice service using LTE technology, which would work seamlessly between 2G and 3G networks. Image: Vodafone feels that government's decision to let Ambani's firm offer voice calls is illegal. However, global technical experts admit that the quality of voice at such a high frequency is surely not the same as what is offered by the 2G operators on 900 Mhz or 1,800 Mhz. In addition, companies will have to make large investments in towers in order to provide similar coverage levels. The problem is more acute when the handset devices are being used at home. "We are of the opinion that voice on 2,300 MHz only makes sense if there is an overlay of 2G and 3G networks. Standalone networks on the 2300 Mhz band will not work as their coverage will be poor," says a top executive of a leading US chipmaker. According to him, operators will need four times the number of towers needed in the 900 Mhz band and two times more compared to what is required in the 1,800 MHZ band to provide similar level of coverage. It means operators will have to make more investments to offer the same service. In that case, Reliance could lose money if it offers services at throwaway tariffs. Image: Quality of voice calls over 4G network (2,300 Mhz) is not as good as the one offered by the 2G operators on 900 or 1,800 Mhz. The quality of service, though, is not the only challenge. Reliance and Bharti are among the first who have chosen the LTE-TDD (time division duplex) technology for India where the number of handset devices are still limited. There are only six networks across the world based on this technology. Europe and the US are bringing in 4G by using the LTE-FDD (frequency division duplexing) technology, which has a large ecosystem of devices including one from Apple. The 4G device of Apple will not work on the network of both Reliance or Bharti. There are currently over 130 devices which work on LTE-TDD but most of these are dongles and just a few are mobile phones. Huawei, for instance, recently launched one such mobile phone bundled with a Bharti 4G offer. Executives in Huawei say that the price for this phone would be around Rs 10,000 apiece, a price point that may not have too many takers. 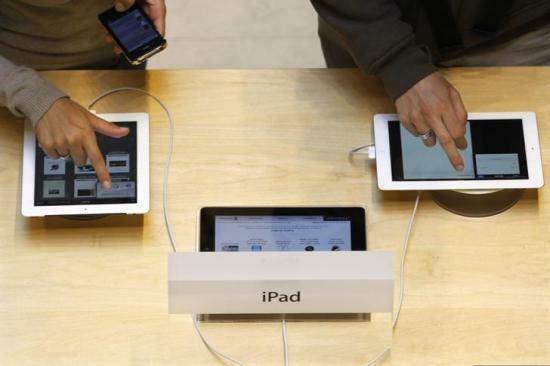 Image: Apple 4G devices will not work on the technology that Reliance and Bharti have adopted. However, that equation could change in just a few months. The LTE-TDD technology is being adopted by China Mobile, and as many as another 23 commercial networks in 16 countries are expected to be deployed on the same band in the next year or so. Also, with two large markets (China and India) joining the LTE party, mobile handset manufacturers say that the prices of devices would fall to around $100. Providing affordable devices, therefore, is not an insurmountable problem. But it's not going to be a smooth ride for Reliance. Its biggest challenge will also come from Bharti, which has 4G spectrum in eight circles. It launched its services last year and is slowly increasing its footprint across these circles. More important, Bharti has an edge over its competitor by being the only player which can offer the entire suite of services from 2G, 3G as well as 4G with a voice option. That should be an attractive proposition for the customers. 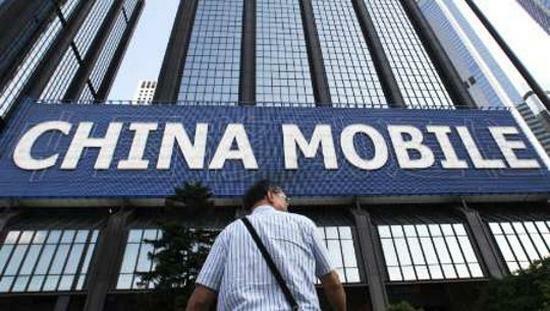 Image: China Mobile, too, has adopted the LTE-TDD technology. 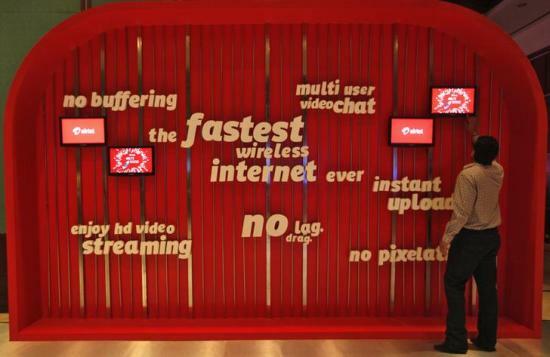 Can Gopal Vittal guide Airtel through its existential crisis? Can India's old telecom giant survive?